Max is a table designed by Ferruccio Laviani for Kartell. With wheels or feet. This study table was born for the office. The gentle, hourglass shape allows Max to fit side-by-side with tables of the same type as well as with other office furnishings. It can stand alone as a single work station or together with companion pieces, creating work islands for open office spaces. 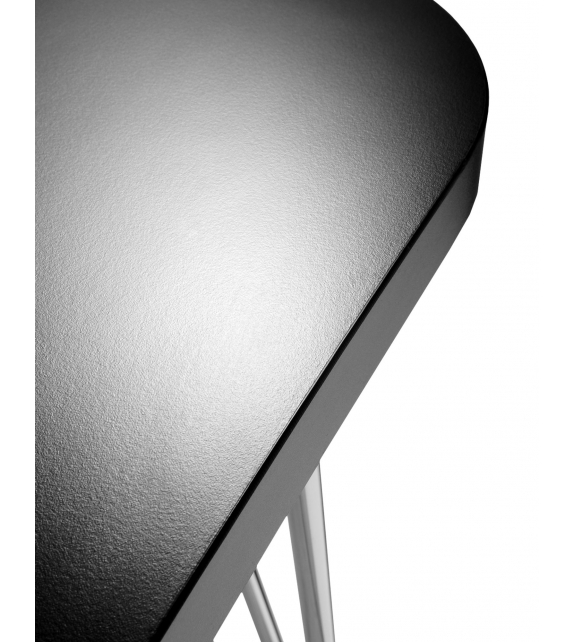 Max is a table designed by Ferruccio Laviani for Kartell. With wheels or feet. This study table was born for the office. 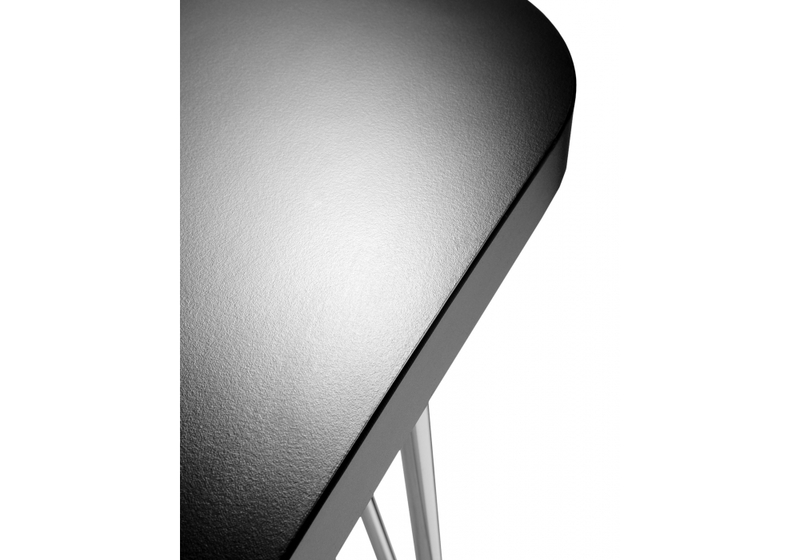 The gentle, hourglass shape allows Max to fit side-by-side with tables of the same type as well as with other office furnishings. 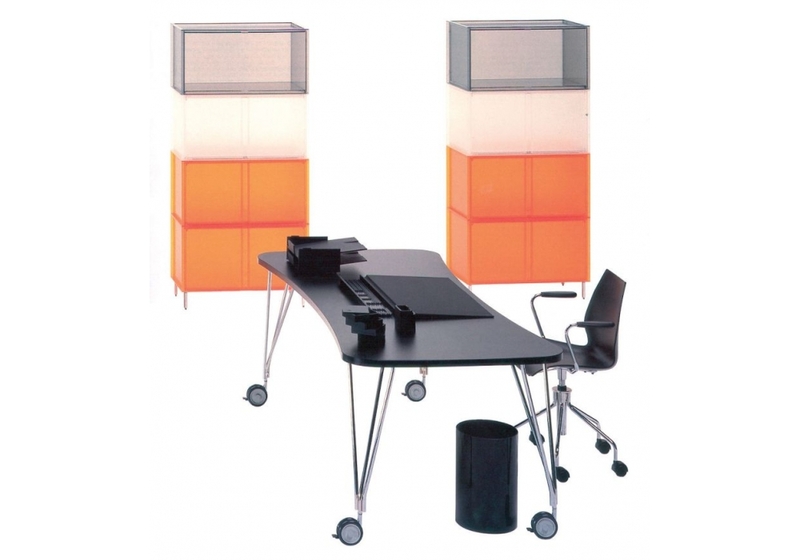 It can stand alone as a single work station or together with companion pieces, creating work islands for open office spaces. The match-up combinations are easy and quick, thanks to its lightness and mobility, as demonstrated by the leg structures. Three metal tubes in chromed steel join at the base to form castors or feet. The castors are also equipped with auto-lock brakes for stability. 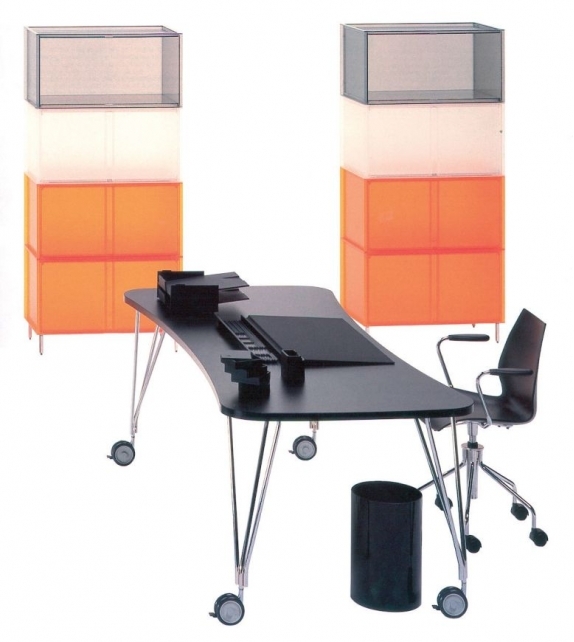 It is easy to combine with other items of the Kartell office, thanks both to the “neutral” design of Max and the versatile colors in which it is offered.